I’m sure it’s no surprise to hear that I love Easter, but to be honest mainly because of the public holidays because I eat chocolate pretty much every day anyway! But I do love seeing all the amazing chocolate recipes that come out at this time of year too and so for my chocolate creation this year I decided to pair two of my favourite things, chocolate - obviously, and peanut butter! You could just dunk your 85% or 90% chocolate into a jar of peanut butter (guilty), but why not use the time off to get creative in the kitchen, even better get your family involved too! Heat the cacao butter and 1 tablespoon of the coconut oil in a saucepan on low until melted. Remove from the heat and whisk in the maple syrup, cacao powder and salt. 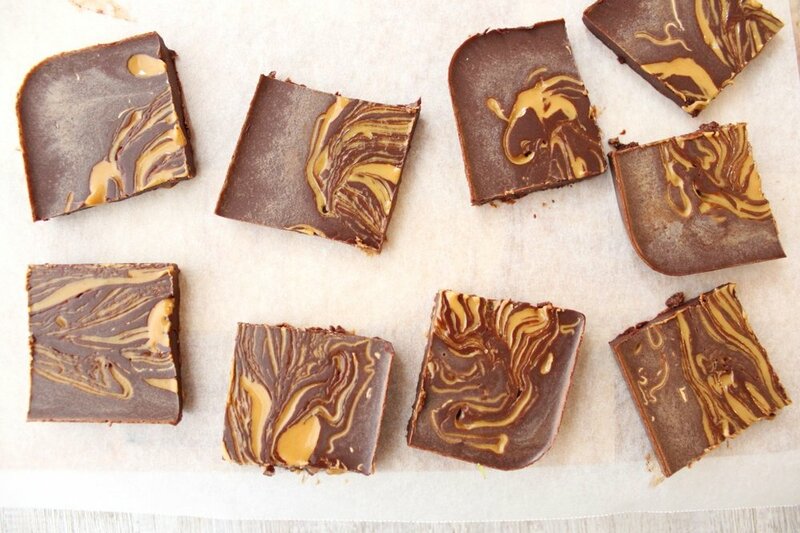 Pour into chocolate mould (or a tin lined with baking paper) and set aside. Next, place the remaining 1 tablespoon of coconut oil and the peanut butter in a saucepan. Heat on low until it becomes a thinner, pouring consistency and is combined well. 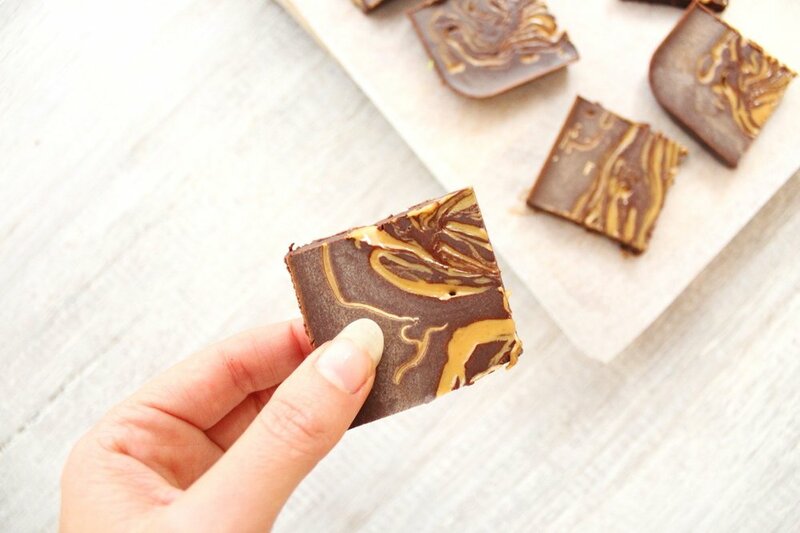 Pour the peanut butter mixture over the chocolate mixture in zig zag motions and then drag a butter knife gently in vertical and then horizontal lines to create a marble effect (only if you want to be fancy for an instagram photo, otherwise you can just mix it all together any which way). Allow to set in the freezer and just take a piece out when wanting to serve. Older PostIt's not just what you eat but HOW you eat!